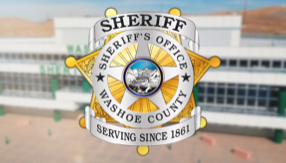 The Washoe County Sheriff’s Office online reporting system allows you to submit selected crimes, tips, or complaints immediately and print a copy of the report. Reports can be submitted from any private or public computer and is free of charge. The following reports are available for online reporting. Select the report that is right for you. Provide as much information as possible; this will help us in the review process. You may be contacted for additional information so be sure your contact information is correct. Once you submit your report, you will receive the message “Your report has been submitted” and a Temporary Case Number will be displayed. You will have the option of printing the report. You will receive an additional email with a copy of your report with the Permanent Case Number once the report has been approved. Please be advised that your report may not be processed for up to 72 hours. If you need immediate assistance, please call the Front Desk at 775-328-3001. Person(s) enter your business or place of employment or any structure part of the business, such as a storage shed, trailer, etc. for the purpose of stealing property or committing assault or battery. NRS 205.060 Burglary: Definition; penalties; venue. A person who, by day or night, enters any house, room, apartment, tenement, shop, warehouse, store, mill, barn, stable, outhouse or other building, tent, vessel, vehicle, vehicle trailer, semitrailer or house trailer, airplane, glider, boat or railroad car, with the intent to commit grand or petit larceny, assault or battery on any person or any felony, or to obtain money or property by false pretenses, is guilty of burglary. Except as otherwise provided in this section, a person convicted of burglary is guilty of a category B felony and shall be punished by imprisonment in the state prison for a minimum term of not less than 1 year and a maximum term of not more than 10 years, and may be further punished by a fine of not more than $10,000. A person who is convicted of burglary and who has previously been convicted of burglary or another crime involving the forcible entry or invasion of a dwelling must not be released on probation or granted a suspension of sentence. Whenever a burglary is committed on a vessel, vehicle, vehicle trailer, semitrailer, house trailer, airplane, glider, boat or railroad car, in motion or in rest, in this State, and it cannot with reasonable certainty be ascertained in what county the crime was committed, the offender may be arrested and tried in any county through which the vessel, vehicle, vehicle trailer, semitrailer, house trailer, airplane, glider, boat or railroad car traveled during the time the burglary was committed. A person convicted of burglary who has in his or her possession or gains possession of any firearm or deadly weapon at any time during the commission of the crime, at any time before leaving the structure or upon leaving the structure, is guilty of a category B felony and shall be punished by imprisonment in the state prison for a minimum term of not less than 2 years and a maximum term of not more than 15 years, and may be further punished by a fine of not more than $10,000. Your property has been altered or destroyed without your permission. This could include broken windows, damaged fences, building interiors, mailboxes or personal property. Use Graffiti to report damage caused by words or images applied to property with paint, markers, etching etc. NRS 206.010 Destruction or damage of property by unlawful assembly. Whenever any persons unlawfully assembled pull down, damage or destroy any dwelling house or other building, or any shop, steamboat, vessel or other property, they severally are guilty of a public offense proportionate to the value of the property damaged or destroyed. Person(s) are willfully creating noise that is loud and unreasonable. It is not limited to certain hours of the day, however, does not include activities such as construction being performed during legal hours which may be loud, but is not unreasonable. If you feel that your peace is being disturbed by another in both a loud and unreasonable manner, you can submit a report for Disturbing the Peace. You may be asked to sign a citizen’s arrest before any legal action. NRS 203.010 Breach of peace. If you are the owner of the property or an agent for the owner of the property and the property has symbols and/or letters applied with paint, markers, etching etc. you can file a Graffiti report. If you are not the owner or agent, please CLICK HERE. As used in this chapter, “graffiti” means any unauthorized inscription, word, figure or design that is marked, etched, scratched, drawn, painted on or affixed to the public or private property, real or personal, of another, which defaces the property. Unwanted phone calls of an annoying, harassing or threatening nature. NO KNOWN SUSPECTS. For example: Caller makes repeated telephone calls to harass the person at the called number. Caller makes lewd, indecent, or obscene language over the telephone. Person does not speak, but breathes heavily into the phone. Person calls to voice a complaint over and over again. Any person who willfully makes a telephone call and addresses any obscene language, representation or suggestion to or about any person receiving such call or addresses to such other person any threat to inflict injury to the person or property of the person addressed or any member of the person’s family is guilty of a misdemeanor. Every person who makes a telephone call with intent to annoy another is, whether or not conversation ensues from making the telephone call, guilty of a misdemeanor. Any violation of subsections 1 and 2 is committed at the place at which the telephone call or calls were made and at the place where the telephone call or calls were received, and may be prosecuted at either place. Your property is lost or missing but is NOT believed to be stolen. For example, you left a camera at a lookout; you lost your cell phone at the mall etc. Person(s) enter your house, apartment, room, shed, stable, garage, or other structure to include house trailer, fifth wheels, motor homes etc. for the purpose of stealing property or committing assault or battery. You witnessed a suspicious activity, person or vehicle. For example, an unknown person is walking through yards and looking into windows. A vehicle is parked near a bus stop and the driver is looking at children through binoculars. Your property is taken without your permission. For Example: The wallet from a purse of pocket is removed while watching a parade. A purse is removed from a shopping cart. An unattended purse in a restaurant is taken. Coins and paper money are removed from an outside vending machine. Statues or lights are taken from a yard. Water skis or life jackets are taken from a boat. The system will code your report as Grand or Petit Larceny based on the cumulative value of the stolen property. DO NOT USE FOR STOLEN FIREARMS OR STOLEN VEHICLES, INCLUDING OFF-ROAD VEHICLES, TRAILERS, BOATS - Discontinue online reporting and contact the Front Desk at 775-328-3001, Option 8. Use Burglary to report property stolen from a business, residence or vehicle. Real property, with a value of $650 or more, that the person has converted into personal property by severing it from real property owned by another person. Uses a card or other device for automatically withdrawing or transferring money in a financial institution to obtain intentionally money to which the person knows he or she is not entitled. One or more domesticated animals or domesticated birds, with an aggregate value of $650 or more, owned by another person. Kills one or more domesticated animals or domesticated birds, with an aggregate value of $650 or more, owned by another person but running at large, whether or not the animals or birds are marked or branded. You have a Temporary Protection Order and the adverse party has violated the conditions of the order. For example, the TPO states that the adverse party in the order may not contact the victim by telephone and the adverse party is calling the victim. NRS 200.591 Court may impose temporary or extended order to restrict conduct of alleged perpetrator, defendant or convicted person; penalty for violation of order; dissemination of order; notice provided in order. Stay away from the home, school, business or place of employment of the victim of the alleged crime and any other location specifically named by the court. Refrain from contacting, intimidating, threatening or otherwise interfering with the victim of the alleged crime and any other person named in the order, including, without limitation, a member of the family or the household of the victim of the alleged crime. Comply with any other restriction which the court deems necessary to protect the victim of the alleged crime or to protect any other person named in the order, including, without limitation, a member of the family or the household of the victim of the alleged crime. A non-injury traffic accident has occurred on private property or on a county roadway. This report is for the benefit of the insurance carrier and will not have any follow-up investigation. Be sure to be as detailed as possible. For example: Your car is damaged in a parking lot, such as in a shopping center where nobody was injured. Your car is damaged on a county roadway or intersection and nobody was injured. This should not be used to report a hit and run. Person(s) enter your business, home or property after being told not to be there or to cause a disturbance. Person(s) enter your vehicle, plane, trailer, boat or other conveyance for the purpose of stealing property or committing assault or battery. Not to be used if the entire vehicle was stolen. Tampering with a Motor vehicle that does not qualify as a Vehicle Burglary. For example, your vehicle was scratched (keyed) or a part of your vehicle was damaged, such as a broken window, but nothing was stolen. NRS 205.274 Injuring or tampering with vehicle; penalties. Any person who shall individually or in association with one or more other persons willfully break, injure, tamper with or remove any part or parts of any vehicle for the purpose of injuring, defacing or destroying such vehicle, or temporarily or permanently preventing its useful operation, or for any purpose against the will or without the consent of the owner of such vehicle, or who shall in any manner willfully or maliciously interfere with or prevent the running or operation of such vehicle, shall be guilty of a public offense proportionate to the value of the loss resulting therefrom. Any person who shall without the consent of the owner or person in charge of a vehicle climb into or upon such vehicle with the intent to commit any crime, malicious mischief, or injury thereto, or who while a vehicle is at rest and unattended shall attempt to manipulate any of the levers, starting crank or other starting device, brakes or other mechanism thereof, or to set such vehicle in motion, shall be guilty of a misdemeanor; but the foregoing provisions shall not apply when any such act is done in an emergency in furtherance of public safety or convenience or by or under the direction of an officer in the regulation of traffic or performance of any other official duty. If you have information regarding person(s) using, selling or distributing drugs. These would include but are not limited to multiple vehicles visiting a residence for short periods of time at all hours of the day and/or night, or witnessing persons selling items thought to be drugs at public parks, street corners etc. You may enter any and all information you have, including license plates and suspect description in the description field. Use if you have information regarding person(s) involved in threatening activities that may concern Homeland Security. These would include but are not limited to suspicious activity near public buildings such as individuals taking numerous photographs or asking unusual questions about a power station. Use this to report any activity or person that appears to be out of the norm or posing a possible threat. You live on a residential street in the unincorporated area of Washoe County and cars are speeding past your house on a regular basis and/or not stopping at designated stop signs. For a barking dog complaint, please call the non-emergency dispatch at 322-DOGS (3647). Use the link below to make an ANONYMOUS REPORT if you have seen a crime, or have information related to a crime. Upon submitting your information, you will be given a report number. The report number is required to claim your reward if your information helps solve the case. Disposing of grass clippings, shrubs, and household goods on public or private lands is ILLEGAL. Violators may be subject to a $1,000 fine and/or six months in jail. The Washoe County Sheriff's Office, Washoe County Health District, U.S. Forest Service and Bureau of Land Management conduct routine surveillance to apprehend any illegal dumpers. NRS 444.630 Prohibited acts; criminal penalty; clean up of dump site; community service; timing of commencement of clean up; proof of lawful disposal; revocation of business license; identification of violator; persons required to enforce provisions; issuance of citation; request for and provision of information. For a first offense within the immediately preceding 2 years, a misdemeanor. For a second offense within the immediately preceding 2 years, a gross misdemeanor and shall be punished by imprisonment in the county jail for not less than 14 days but not more than 1 year. For a third or subsequent offense within the immediately preceding 2 years, a gross misdemeanor and shall be punished by imprisonment in the county jail for 1 year. Your credit or debit card has been taken or used without your permission. NRS 205.760 Fraudulent use of credit card or debit card, or identifying description of credit account or debit card; presumption of knowledge of revocation of credit card or debit card. is guilty of a public offense and shall be punished for a category D felony as provided in NRS 193.130. In addition to any other penalty, the court shall order the person to pay restitution. One hundred dollars or more, for a category D felony as provided in NRS 193.130. In addition to any other penalty, the court shall order the person to pay restitution. Less than $100, for a misdemeanor. A person is presumed to have knowledge of the revocation of a credit card or debit card 4 days after notice of the revocation has been mailed to the person by registered or certified mail, return receipt requested, at the address set forth on the credit card or debit card or at the person’s last known address. If the address is more than 500 miles from the place of mailing, notice must be sent by airmail. If the address is located outside the United States, Puerto Rico, the Virgin Islands, the Canal Zone and Canada, notice may be presumed to have been received 10 days after the mailing. is guilty of a category B felony and shall be punished by imprisonment in the state prison for a minimum term of not less than 1 year and a maximum term of not more than 20 years, and may be further punished by a fine of not more than $100,000. is guilty of a category C felony and shall be punished as provided in NRS 193.130.
is guilty of a category B felony and shall be punished by imprisonment in the state prison for a minimum term of not less than 3 years and a maximum term of not more than 20 years, and may be further punished by a fine of not more than $100,000. Satisfy a debt, lien or other obligation incurred by the person whose personal identifying information the convicted person obtained and used in violation of subsection 1. Proof of possession of the personal identifying information of five or more persons in a manner not set forth in NRS 205.4655 permits a rebuttable inference that the possessor intended to use such information in violation of this section.